One of the big pleasures of summer for me is vegetable gardening. I love to walk around and look at the way the plants are producing and to come back into the house with a basket full of vegetables. I also love creative gardening ideas. They make the task of gardening fun. 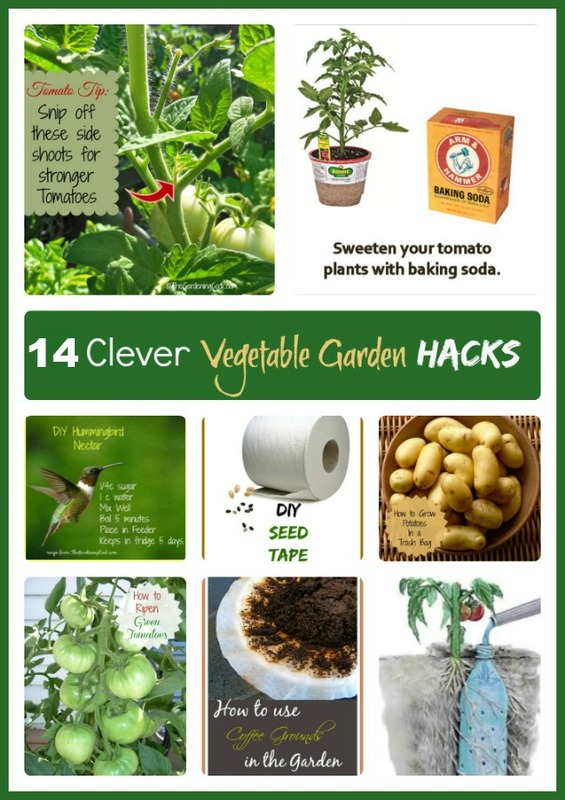 These 14 clever vegetable garden hacks are creative, fun and easy to put in to practice. 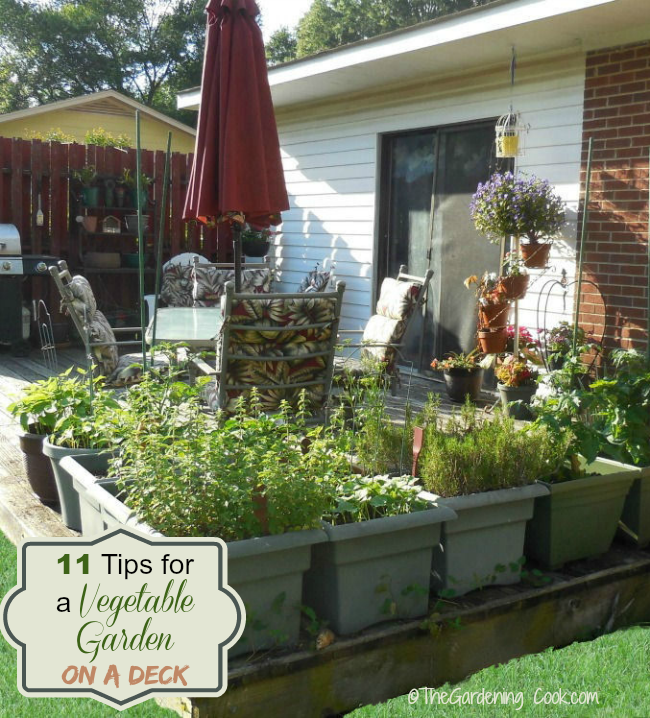 If you love to grow your own vegetables, you will know that there can be many vegetable garden problems that plague you through the summer. Many of these hacks will be helpful to overcome them. These Vegetable Garden Hacks will Make your Life Easier. Some vegetable garden tasks are easy and some require a bit more work. These 14 vegetable garden hacks will make lighter work of all your garden chores. Small seeds can be difficult to sow correctly. 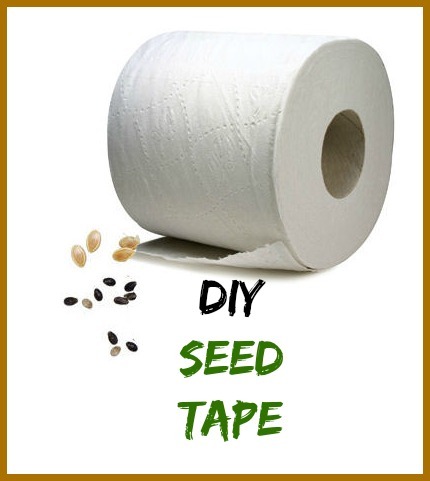 You can buy seed tape from many retailers, but making it yourself is really quite easy. All you need is some toilet paper and fine seeds. See how to do it here. 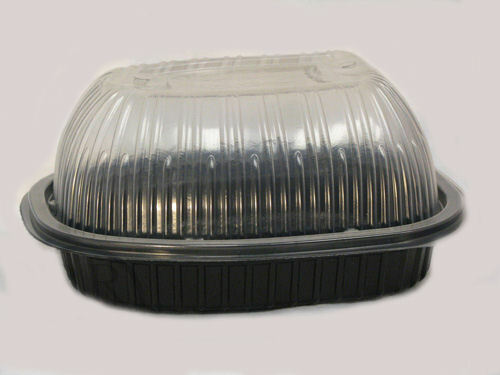 Rotisserie chicken containers make wonderful trays for seedlings that need moisture as they start to grow. See how I use mine. Everyone loves sweet garden tomatoes. 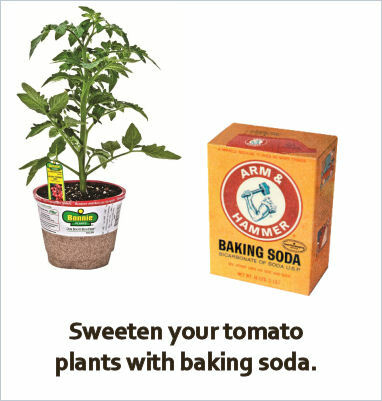 There is some thought that you can make yours even sweeter with a sprinkling of baking soda near your plants. Is this really true? Find out here. Do you want to protect your cucumber plants from soil borne pests and save space in your garden? 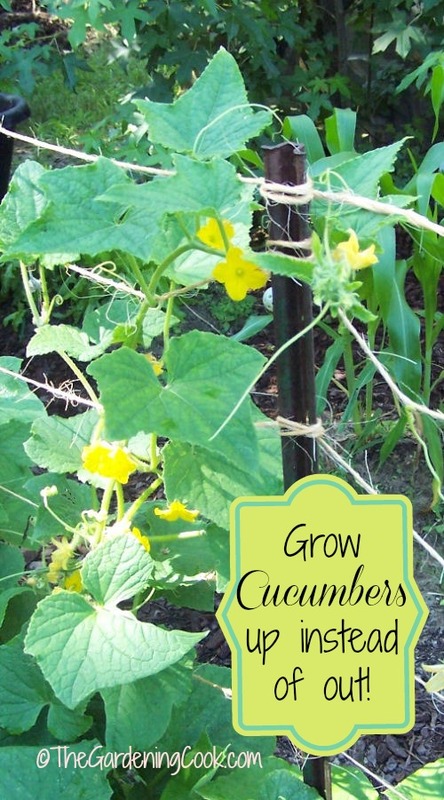 Try growing your cucumbers up instead of out. 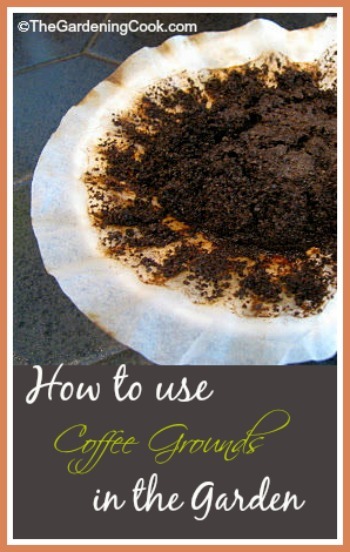 Do you like the idea of adding compost but don’t have space for a compost pile? 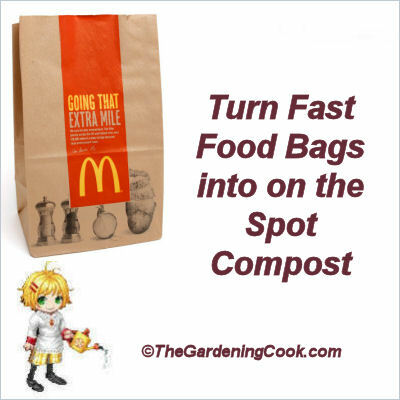 Turn your old fast food bags into on the spot composting by adding kitchen scraps and burying them near your plants. Vegetable Gardening does not have to be back breaking or expensive. There are lots of ways to save money and time. All gardeners know that keeping on top of weeds is one of the biggest vegetable garden chores. Don’t reach for the round up though. 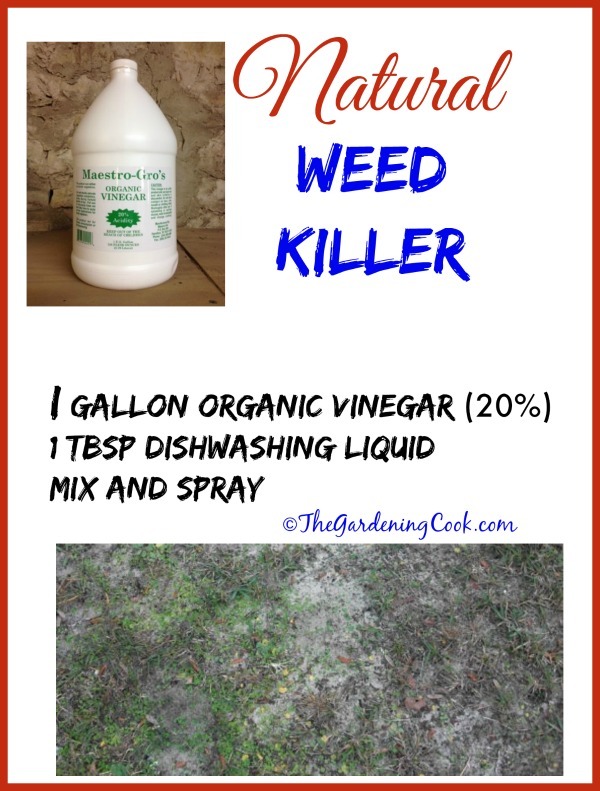 Kill weeds naturally with this organic garden weed killer. I love the sight of hummingbirds flittering around in the garden. 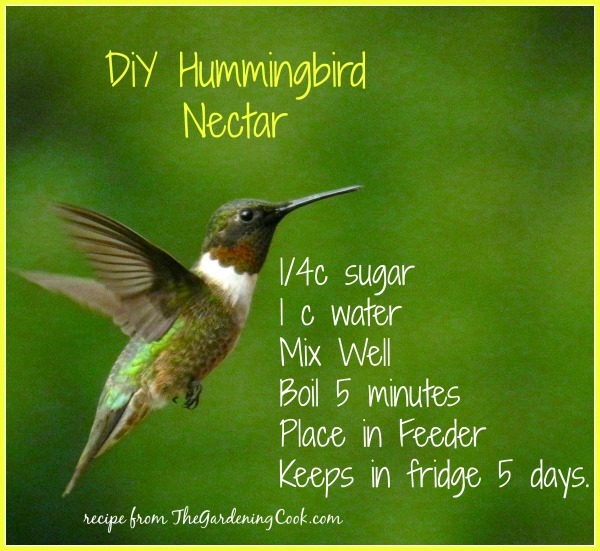 Hummingbird nectar is very easy to make too. And it keeps well in the fridge. Vegetable garden plants can need some extra nourishment. Miracle grow is often used by many gardeners. 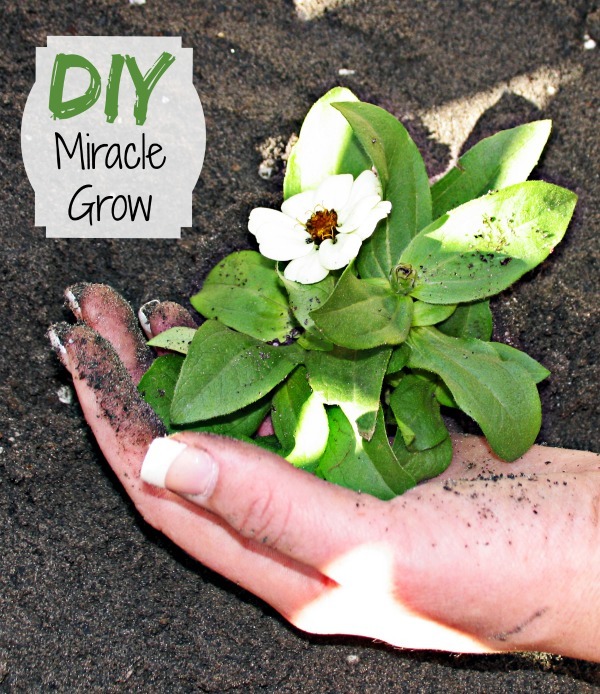 (affiliate link) Did you know you can also make your own Miracle grow fertilizer ? It is easy with this recipe. 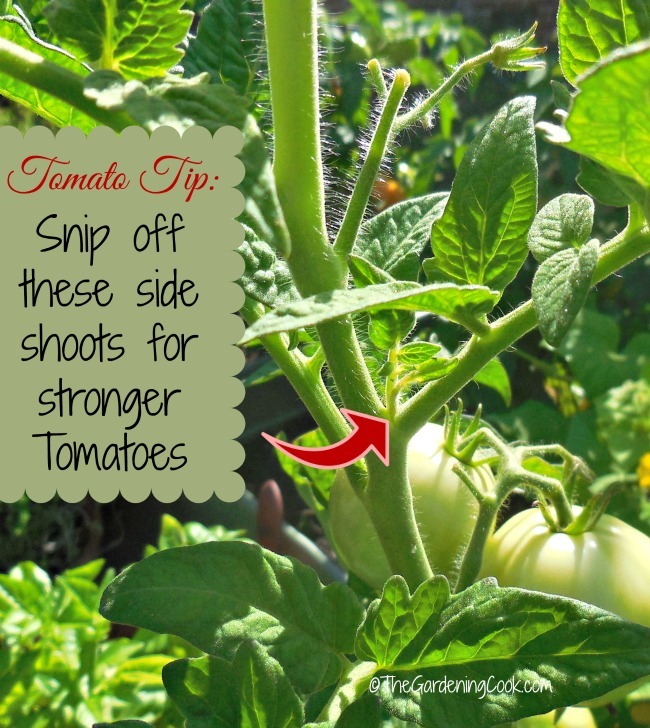 If you want your tomato plants to be strong and healthy, snip of the side shoots that form. See many more tomato growing tips here. Most vegetable love to be watered near the root area. My most popular tip on the blog is this DIY soda bottle drip feeder project. The end of the vegetable growing season can mean a lot of green tomatoes. Don’t waste them. 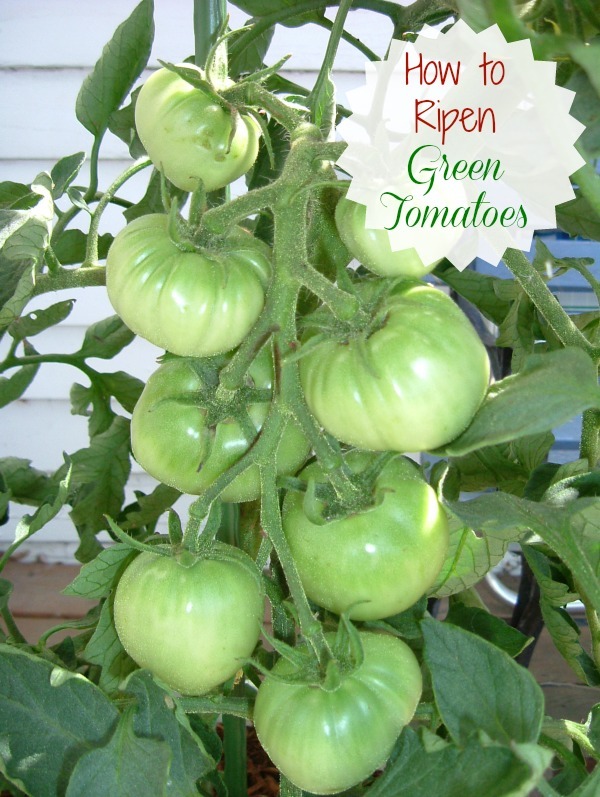 See my tips for ripening green tomatoes indoors. Love the idea of growing potatoes but don’t have the space? 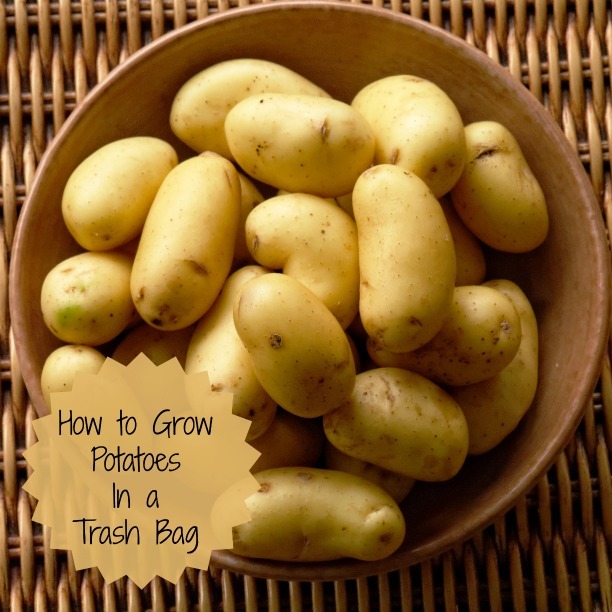 Try growing potatoes in a large trash bag instead. This year, instead of growing my vegetables in a large garden plot, I planted everything on a deck garden. It make my summer gardening chores SO much easier. 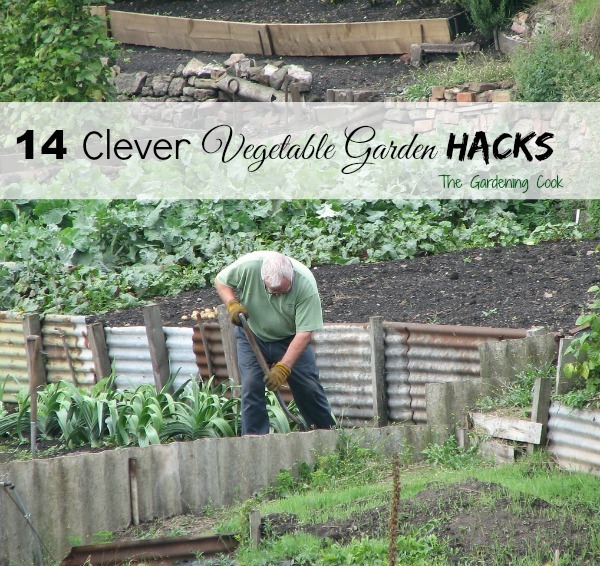 What other vegetable garden hacks have you used to make your gardening chores easier? Please leave your suggestions below. Me alegro de que lo encontró muy útil. If this could be classified as a garden hack ,well for me it is.I always forgot to get the pH kit from the store .So to test the level of acidity /alkalinity ,I always use vinegar or baking soda .if the soil fizzes in vinegar then it’s alkaline ,with a pH of 7-8 .if it doesn’t fiz ,add some distilled water and then add baking soda .If it fizzes upon adding the baking soda ,the soil is acidic (ph5-6). 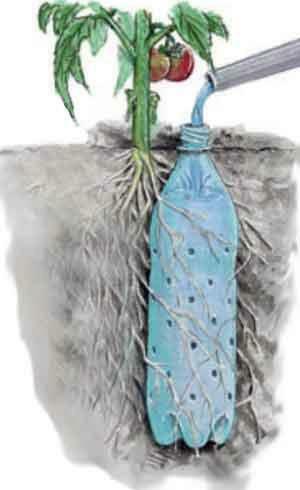 If the soil doesn’t fiz in both cases ,the soil is neutral . This has always worked for me .I hope it works for you as well . I’ll be trying some of the tips you just listed for us .Most of them are very new to me . I have found that some fast food places like chik fil get buckets of pickles. If possible get buckets for free cut the bottom out and use for cabbage or other cold season plants this provides warmth and wind protection for seedlings. This alow planting earlier. My Bucket garden is out now.